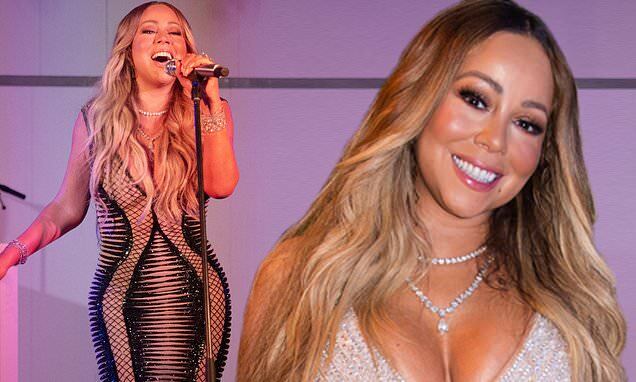 Mariah Carey rang in 2019 with a showstopping concert in the Caribbean. The global musical icon performed rousing renditions of her new and old hits at the famed luxury retreat Nikki Beach St. Barth on New Year's Eve. And the 48-year-old Always Be My Baby songstress rocked a plethora of eye-popping gowns before toasting to 2019 with her beau Bryan Tanaka. Daring to impress, the elusive chanteuse flaunted her famous figure in a dazzling white gown that boasted a plunging neckline. Her trademark sandy blonde tresses were left long and loose as they cascaded in curls over her shoulders and down her chest. She showcased her enviable curves after changing into a barely-there sheer gown that featured scintillating cut outs. Dripping in diamond bracelets and necklaces, the darling diva looked sensational as she belted out her famous melodies. The annual fabulous fete was inspired by the Rothschild family’s legendary Surrealism Ball.